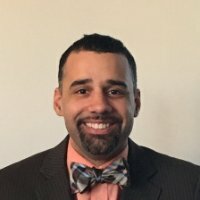 ​BIO of a Narrative Changer: Shawn Anthony Robinson Ph.D. focuses on the intersection of race, giftedness and dyslexia, and brings a wealth of academic experience, training and knowledge about the psychological development of dyslexia. He is very passionate about this research as he first learned how to read at the age of 18 with an elementary reading level, and understands the hardships students face who have not tapped into their gifts. He is one of a few scholars with a research focus on the scholarship, theory and literature addressing theoretical or psychological frameworks investigating gifted Black males with dyslexia. How is Your Work Changing The Narrative: Letting students know who are receiving special education that they can success beyond expectations. Dream and turn them into reality. Write your own Narrative!